Disputes between owners and associations can easily spin out of control. When those disputes result in a lawsuit, the costs, both in terms of time and money, can be significant. That is why attorneys often encourage parties to first meet and try to resolve those issues through some form of dispute resolution process before a lawsuit is filed. In fact, the law often requires that parties at least offer to meet in some form of alternative dispute resolution setting before they file a lawsuit, or they may lose the right to recover attorney’s fees even if they win the suit. California’s Davis-Stirling Act contains several sections that address, and sometimes require, the use of the dispute resolution process before litigation can be filed. The statutory process includes (1) Internal Dispute Resolution and (2) Alternative Dispute Resolution. Internal Dispute Resolution or “IDR” is an informal process where one or two representatives of the association (typically a board member and the association’s community manager) meet with the owner of the property at issue and try to resolve the issue informally. Civil Code section 5905 requires that associations provide a “fair, reasonable, and expeditious procedure for resolving a dispute” with members. Boards serve a necessary function in any corporation, and especially within a homeowners association. It would be impossible for an association to function without one. In an association, the buck ultimately stops with the board. The board is elected by the members of the association to accomplish the tasks required of an association by the governing documents. Volunteer board members are accountable to the association itself, as well as to the owners within the community. While the board can, and should, rely on opinions of experts and information presented by committees, decisions affecting the community are the ultimate responsibility of the board, and the board members will be held accountable for these decisions. While the position is voluntary, board members should take their fiduciary responsibility to the association and its members seriously. Despite the important role the board plays in the association, board members must keep in mind that they have been elected by the members of the association to conduct the business and affairs of the association. 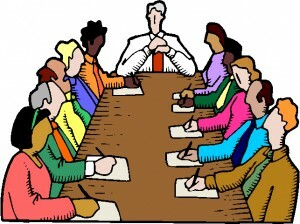 Board members should not become power hungry or otherwise harass owners. Likewise, owners must respect the authority of the board to conduct the association’s business and enforce its documents. Board members must remember that the owners must be kept informed of the board’s activities and make sure that proper communication with the other owners is maintained. 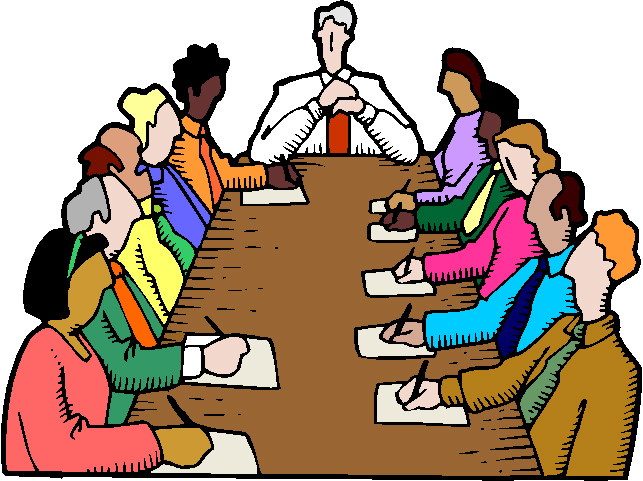 In deciding what to communicate to members, board members should consider what they would like to know and how they would like to be treated as a non-board member owner, and strive to act in that manner as a board member. In addition to the duties set forth in the CC&Rs, Bylaws and Articles of Incorporation, board members have additional duties imposed by law. While all of the duties and obligations of a board member cannot reasonably be set forth in a short article, we will highlight some of the most important duties and obligations a new board member must understand: that of their fiduciary duty to the association and its members, the business judgment rule, and the duty to keep communications with the association’s attorney confidential. Having an Election? Know Who is Entitled to Vote. In any HOA election there are two record dates that need to be idenitified. The Record Date for determining the members entitled to notice, and the Record Date for determining members entitled to vote. Can anyone confirm that in California, regarding a CID director election via an absentee ballot, that the Davis-Stirling Act requires the board to set a “record date for good standing” which is between 60 days in advance of the election and the mailing date of absentee ballots? I am concerned that our board has declared that ballots are to be mailed to association members in good standing on May 31, 2010, but they have declared a “record date for good standing” for June 15, 2010, two weeks after mailing, an obvious conflict which I believe is a D-S violation. This may deprive some members of their vote, even after receiving ballots, and open a door to election fraud. Am I correct in my legal understanding and concern? We have an election on July 3, 2010, and time is short to correct this error. In any HOA election there are two record dates that need to be identified: The Record Date for determining the members entitled to notice, and the Record Date for determining members entitled to vote. The Davis-Stirling act does not have any requirements for determination of a record date. The record date is determined by the Association’s bylaws and by California Corporations Code section 7611. If the bylaws are silent, the Board may set a record date consistent with section 7611. Section 7611(a) provides the time frame for the Record Date to receive notice of a meeting of members, which “shall not be more than 90 nor less than 10 days before the date of the meeting.” In the absence of a record date defined in the bylaws or by the Board, members at the close of business on the business day preceding the day on which notice is given are entitled to receive notice of a members meeting. For the purpose of determining a record date for members entitled to vote at a meeting of members, the record date shall not be more than 60 days before the day of the meeting. If no record date is fixed by either the bylaws or the Board, members on the day of the meeting who are otherwise eligible to vote are entitled to vote. In responding to the question above, we do not know if the Association’s bylaws contain any instructions for establishing the relevant “record dates” for the upcoming election. 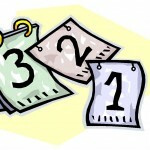 However, it appears that May 31 was selected as the record date for notice of the meeting, and June 15 was selected as the record date for determination of voter eligibility. Assuming the bylaws are silent on the issue, the dates selected by the Board comply with the requirements of section 7611 for a July 3rd election date. In addition, by mailing out ballots on May 31st, the Association complies with the Davis-Stirling Act, which requires that written ballots be mailed out at least 30 days prior to the election (Civil Code section 1363.03). While the owner raising the question is concerned that some owners may lose their right to vote after receiving their ballots, it is just as likely that owners who are not in good standing will have the opportunity to rectify the situation between the time they receive their ballots and the later date being used to determine voter eligibility. In addition, in order to deem an owner not to be in good standing, the Association will have had to call the owner in for a hearing. Given the time frame identified, it is likely that any owner who loses their right to vote between the time the ballots are mailed and the record date for voter eligibility will have been in violation of the CC&Rs prior to the ballots having been mailed. Author Robert M. DeNichiloPosted on April 7, 2010 Categories GovernanceTags Board Actions, ElectionsLeave a comment on Having an Election? Know Who is Entitled to Vote.